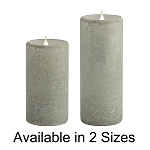 Currently Sold Out Of Ivory 3.5x7", Chocolate 3.5x5", Cranberry 3.5x7", and Cranberry 3.5x5"
Solare 3D Virtual Flame Candles from Pacific Accents by Flipo are the world's most realistic flameless candles. They are the perfect blend of beauty and technology. 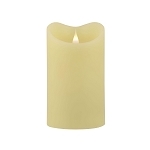 Unlike other flameless candles that utilize a flat simulated flame that is illuminated from the outside or a stationary bulb, the simulated flame of a Solare 3D virtual flame candle is 3 dimensional and is illuminated from within. 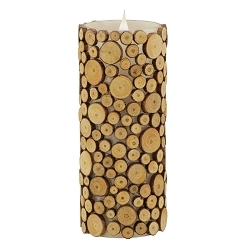 The result is a flame that can be viewed from any angle giving you unlimited decorating possibilities. 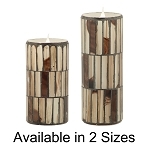 The multi-color 3D flame is the next step in the evolution in flameless candles. Illuminated from within, the flame mimics the appearance of a real flame subtly changing in hue and intensity. 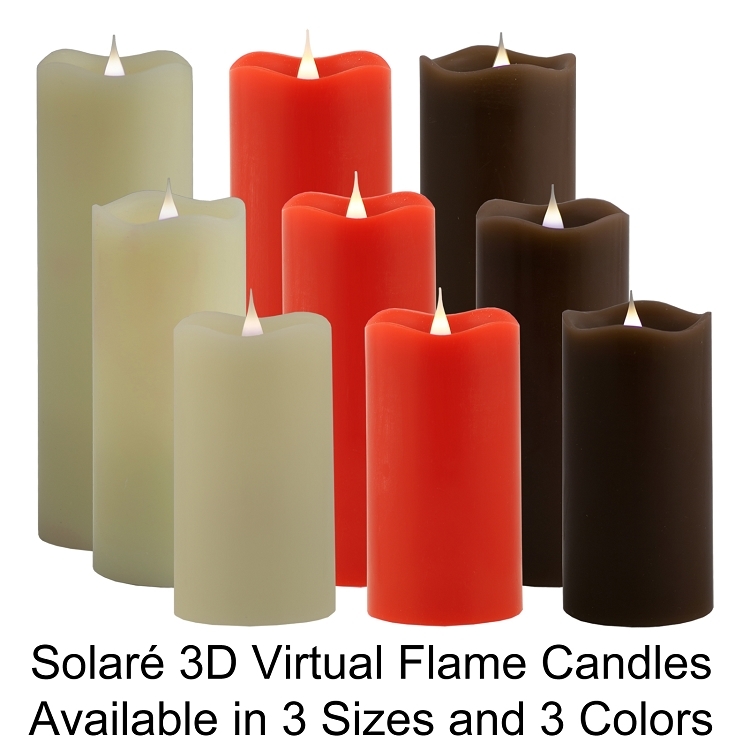 In addition to the realistic shape and color variations of a real candle flame, Solare 3D virtual flame candles mimic the flicker and movement of real fire. The flame randomly moves as if being blown by a soft breeze and at times even stops moving while at the same time maintaining the realism and color of the flame. Q: Is the candle body wax or resin?